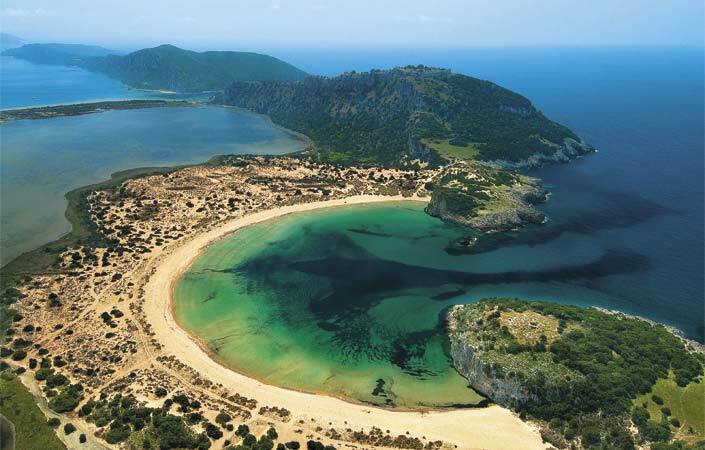 Euripides calls Messinia “Callikarpo” because of its beauty and fertile rich land. 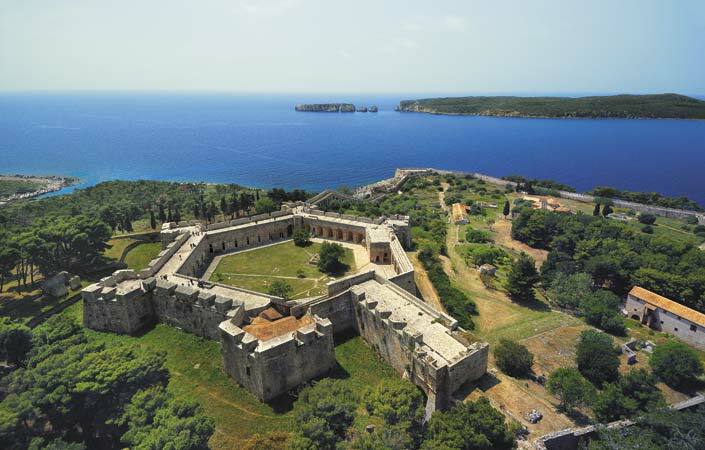 Messinia is surrounded by 140 km of coastline, with beautiful beaches, coves, picturesque harbours starting from one side with the Messinian Gulf and reaching the Ionian Sea on the other. 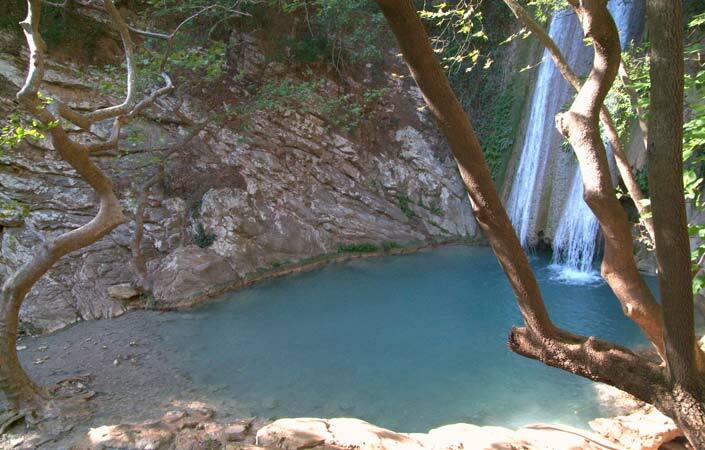 In the mainland, Taygetos, “the legend of Morias” with wild beauty, woods with fir and pine trees, rare plants, peaks, gorges, ravines and picturesque villages. 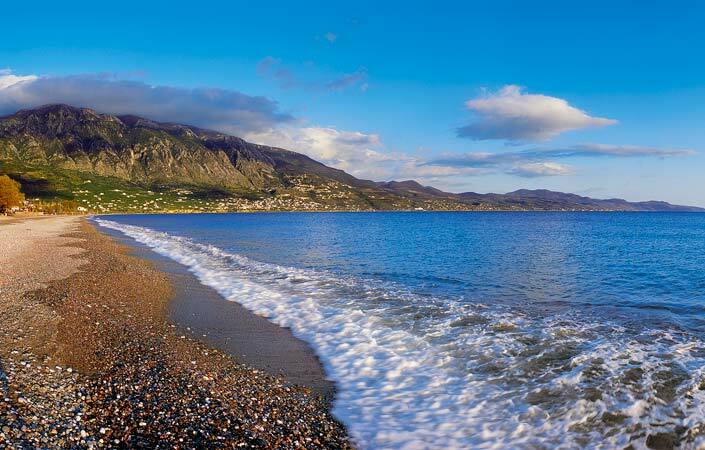 Kalamata is the capital of Messinia and the second bigger city of Peloponnese. 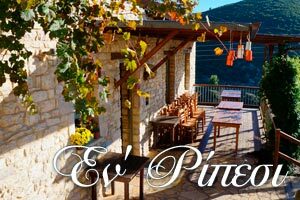 It is built at the foot of Mount Taygetos near the ancient city of Pharae, and is there since the Byzantine years. Its harbour, the largest of the prefecture and the southernmost of mainland Greece, is full of life. Kalamata is a modern city that maintaining the signs of its history. The historical center, the picturesque old town, the castle, the classical and neoclassical buildings, the Byzantine churches, the historic church of the Holy Apostles, where the liberation struggle of the Greek revolution of 1821 began, made Kalamata a symbol city of courage and will power. The Mycenaean palace of the king of Pylos Nestor on the Hill of Aegion. Odyssey refers to the visit of Tilemachus’ son of Odysseus to Nestor who had taken part in the Trojan War. The palaces were discovered in 1939 but the excavations were interrupted and continued in 1952. The ruins of a two-storey central building and other auxiliary buildings were discovered. Also the King’s and Queen’s apartments, the throne room, the King’s vaulted tomb and others. 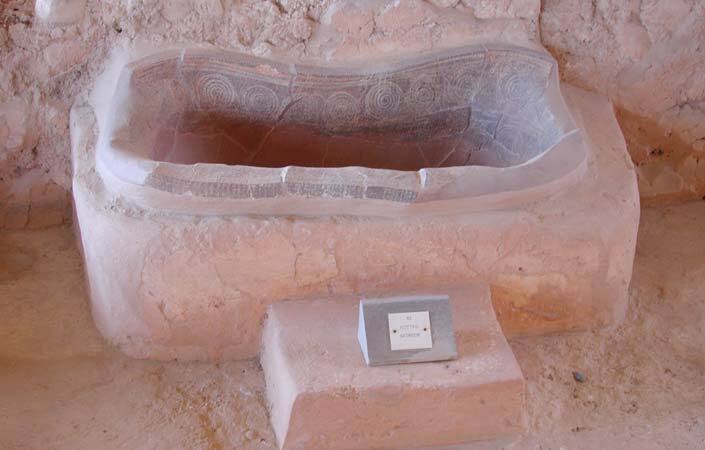 The findings are exhibited at the archaeological museum in Chora near the palace. It is believed to have been built by Nestor’s father Nilea in the 13th century BC and was destroyed in 1200 BC from a fire with the invasion of the Dorians. Ancient Messini capital of the Messinian state, founded by Theban general Epaminondas at the foot of Ithomi in the 4th century BC, along with Megalopolis in Arcadia. It was fortified with strong walls with towers and forts that protected it for centuries. Modern Messinia took its name from ancient Messinia. 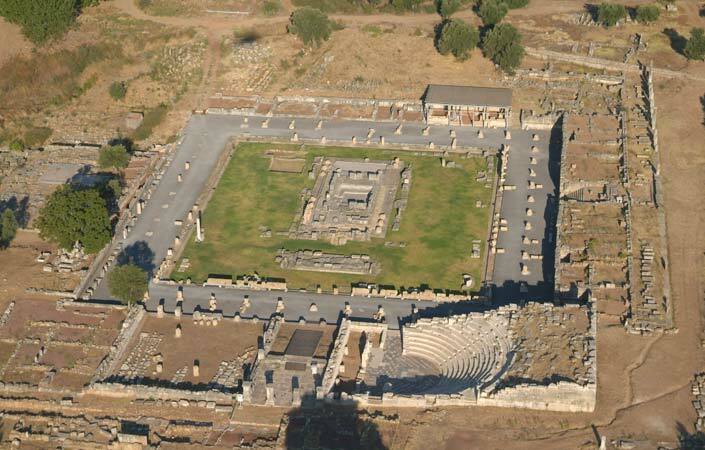 Several public buildings such as the Stadium, the Theater, the Gymnasium, the Asclepieion, the Bouleuterion, the Agora, the Arsinoe fountain, the temple of Demeter, the Dioskouro, Artemis Orthias, Acheloos, inscriptions, etc. were found in the archaeological site. The temple of Epicurios Apollo near Saint Andrew (“Vassa” site). It was built in the 5th century BC by Iktinos who was also the Parthenon architect and is kept in a very good condition. The wetland of Gialova (Wodokilia) protected area with rare bird species. The valley of Neda. The river Neda took its name from the homonymous nymph, deity of the waters. 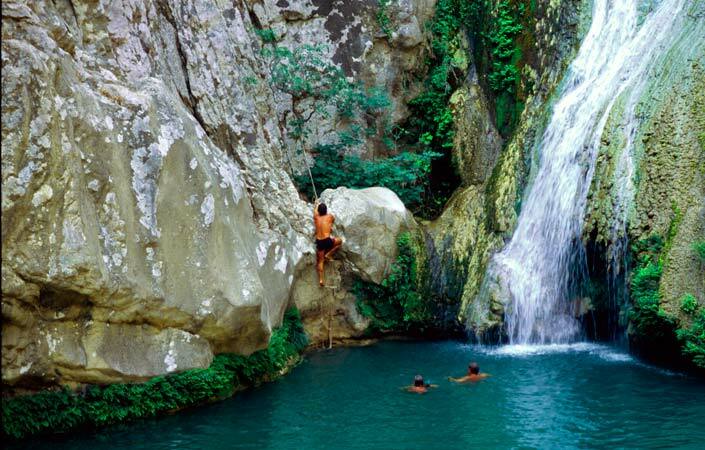 The area with tributaries, waterfalls, ravines drowned in vegetation, arched bridges has fairy-tale beauty. Polylimnio. Waterfalls and lakes make up a beautiful natural environment. The islands of Sapientza, Agia Marina and Schiza, the Messinian OInousses opposite Methoni. In Sapientza there is the only 10,000-year-old woodland in the Mediterranean. The forest has been declared a listed monument. In the forest live wild sheep, kri kri, and a wide variety of birds. 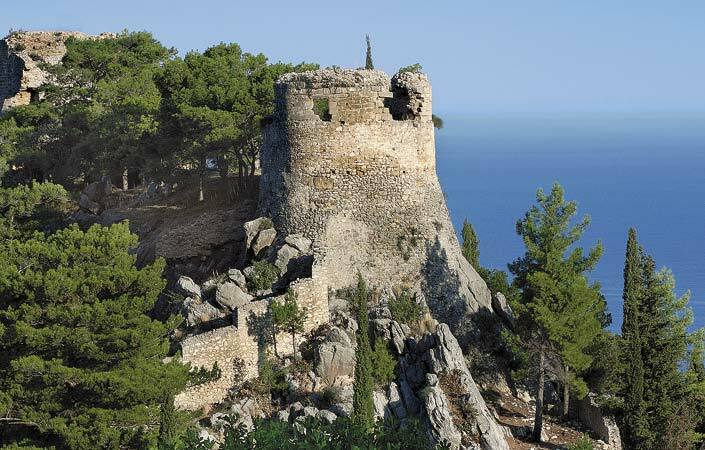 The 13th-century Kalamata castle, built in the place of the Acropolis of Pharae. 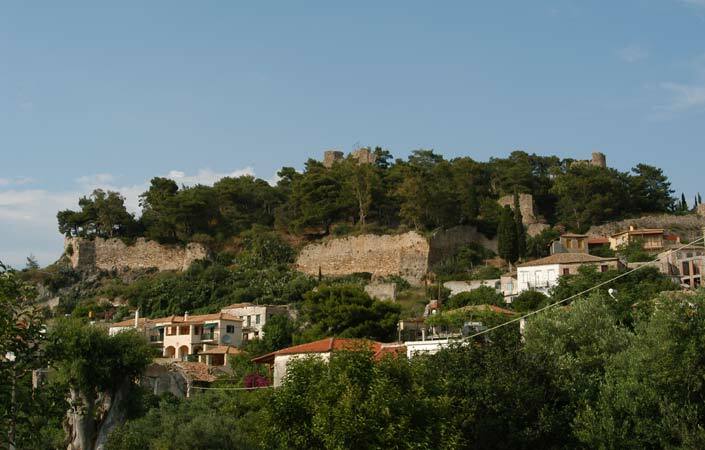 The Venetian castle of Koroni at the top of the hill. 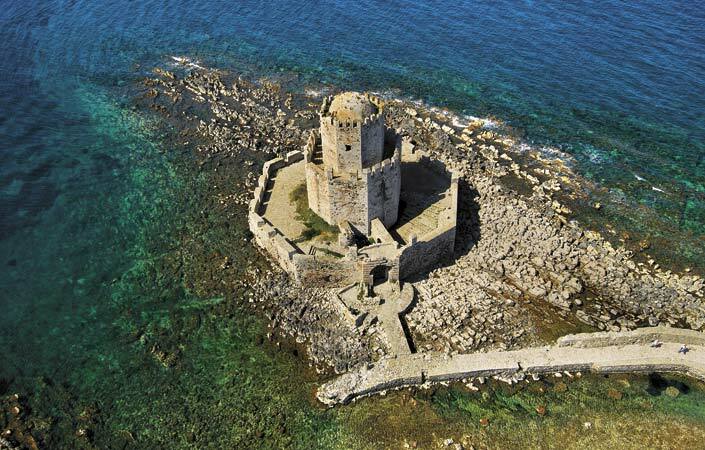 The castle of Methoni built by the Venetians in the 13th century over an older 7th century castle. It is surrounded by huge walls with huge doors and stone bridges. Inside we find the ruins of residences, two Turkish baths, the Byzantine church of Agia Sophia, the Temple of the Transfiguration of the Savior, tanks etc. To the south of the castle we find Bourtzi, an island with a small octagonal building full of gun ports. In Pylos, Niokastro and Palaiokastro (Navarino). The Byzantine church of the Holy Apostles in Kalamata, where the liberation struggle of 1821 began. In Kalamata, the Metropolitan Church with a miraculous icon of the Virgin Mary. The monastery of Dimiova with a wooden temple from 1773. The monastery of Aghios Konstantinos and Eleni (monastery of Kalogréon) dating from the 18th century, famous for the silk workshop operated by the monks of the monastery. The Vulcan Monastery near the ancient Messina founded in 726 AD. With the sacred miraculous icon of the Virgin Mary. The monastery is divided into the old and new 1625 AD. 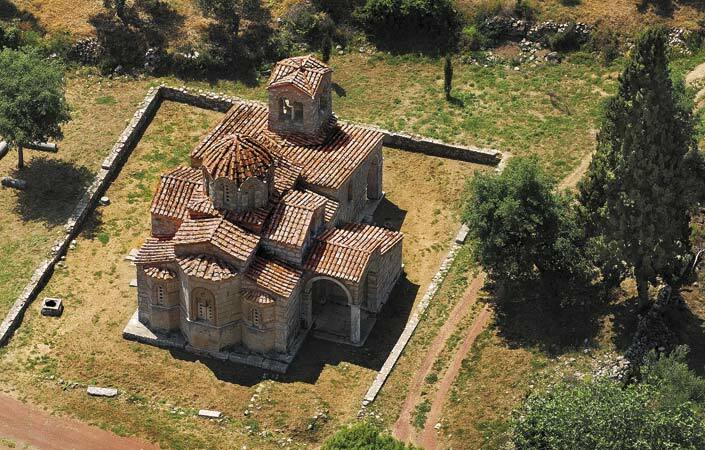 The Andromonastery, founded by the Byzantine emperor Andronikos Palaiologos. The Byzantine Temple of the Transfiguration of the Savior in Christendom, near Filiatra, of unique architecture. In Androusa, the Byzantine Temple of Agia Samarina with 12th-century frescoes. In Artemisia, the monastery of Sideroporta, the historical monastery of Mandraki, where Papaflessas and Kolokotronis started the fight of 1821. 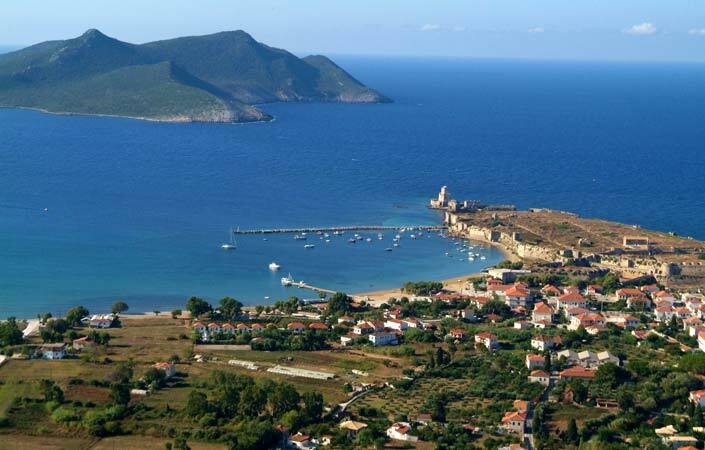 In Methoni, Saint Onoufrius with carved tombs and the Byzantine temple of Saint Basil. The Byzantine church of Zoodochos Pigi or Samarina near Kalogerorrachi. 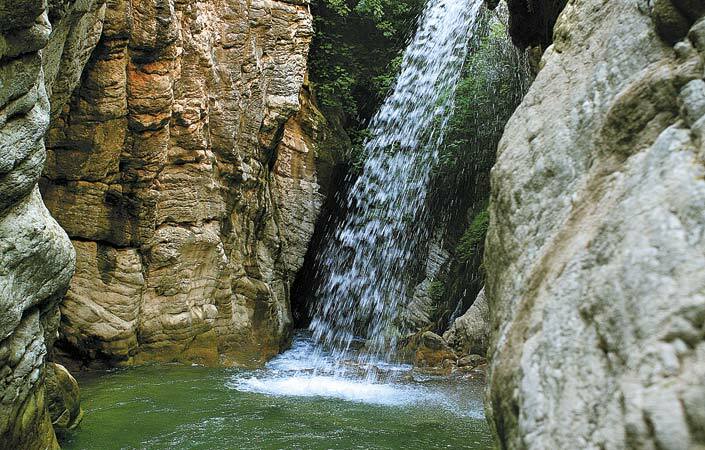 Kalamata stands in the place of ancient FARON whose founder was, according to mythology the son of Hermes and the daughter of Danaean Fylomadias, Faris. 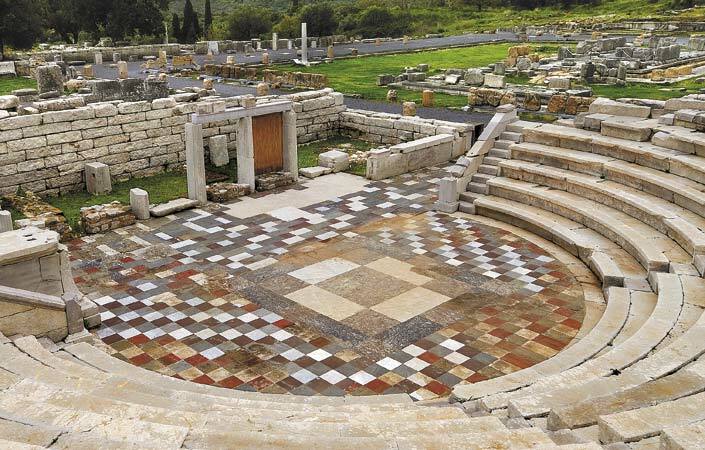 The area is inhabited since the pre-historic era and was a big centre at the Mycenean period. The city depended on Sparta until the foundation of Messini from the Theban general Epaminonda in 369 BC. The city was granted again to Lakones at 31 BC from the Roman emperor Octavian August after his victorious naval battle in Aktio. After the emperor died, at Tiberios reign the city was finally granted to the Messinians. 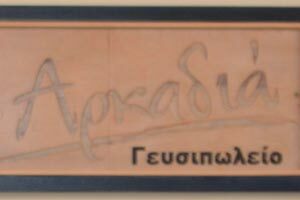 From the descriptions of geographer Stravonas (1st century AD) and Paysanias the Sightseer (2nd century AD), we know that in the city existed three sanctums, one dedicated to the heroes-healers Nikomacho and Gorgaso, the second for the adoration of Luck and the third was dedicated to Athena Neodousia. The name Kalamata is met for first time in the life of Osios Nikonos (11th cen.) and the versions for the origin of name are many. According to the older version the name of the city is due to the church of Virgin Mary Kalomata that existed in the region. 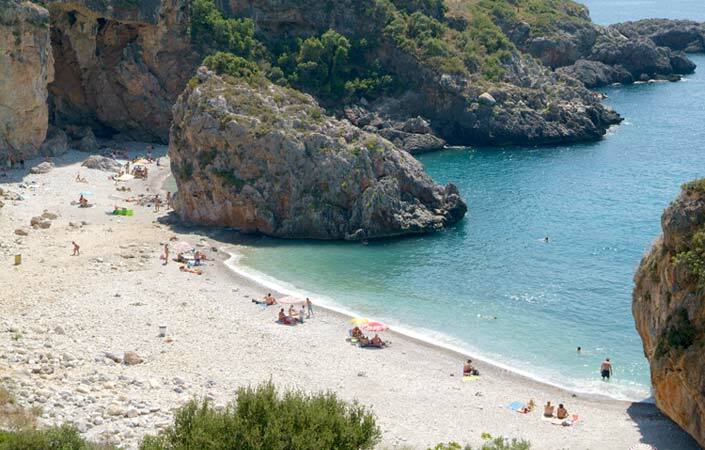 However newer researches have rejected the above version and recommend that Kalamata took its name either from the neighbouring ancient city Kalamon, or because of the many reeds (Greek word: kalami) in the area. Worth mentioning is another likely origin, from the usual surname of many residents “Kalamatis” which we meet in many meta-byzantine documents and manuscripts. The renaming from Faron to Kalamata took place in a period of demographic changes in the region in the 7th or 8th century. The city was conquered by the Franks (1205), the Tyrks (1460 and 1715) and from the Venetians (1464, 1659 and 1685). The declaration of the revolution on 23 March 1821 in the temple of Saint Apostles meant the release from the Turks. 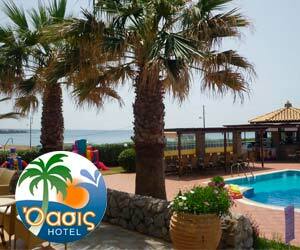 Distance: 9km from Kalamata city. Messinia prefecture belongs to the administrative regional unit of Peloponnese and includes the municipalities of Kalamata, West Mani, Messini, Ihalia, Pylos-Nestoros and Trifilia.